Delicate contemporary design with vintage elements. 18kw round brilliant diamond band with milgrain edge. 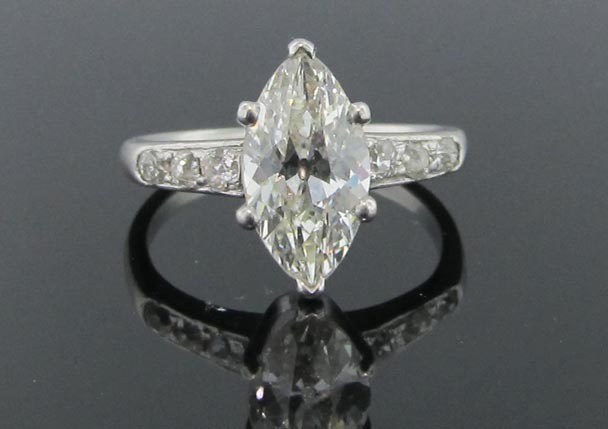 18w .44ctw round brilliant and marquise-shaped diamonds. Beautiful filigreed edge. 14kw, .42ctw, 7-stone, diamond band. 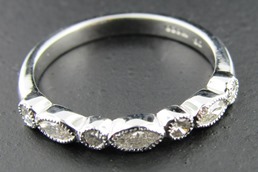 Beautiful and sparkling round-brilliant, bezel-set diamond band. 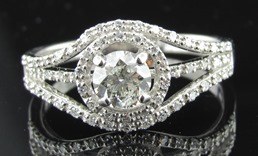 14kw, .75ctw, 7-stone, round-brilliant diamond band in a shared prong setting. A beautiful compliment to a round-brilliant solitaire engagement ring. Breathtaking even on it's own. 18k, .50ctw round center stone with .25ctw pave diamonds around the band. 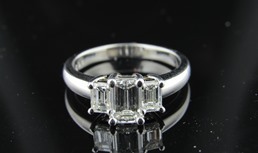 Fantastic, 3-stone emerald cut diamond ring. 18k, 2.44ctw. Amazing. 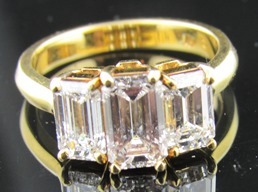 Aren't emerald cut rings just fabulous?! Breathtaking GIA Certified Emerald cut three-stone diamond engagement ring. The center stone is .74ctw, F color, VS clarity with ,50ctw in F, VS clarity side diamonds. 1,24ctw for this stunning ring completely set in Platinum. 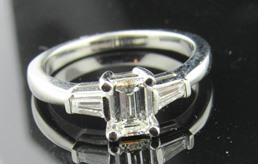 Three-stone emerald cut diamond ring. .56ctw, colorless, center diiamond with .20ctw, f color, VS clarity tapered baguette side diamonds. Completely set in platinum. 1.12ctw H-I color, VS clarity, marquise-shaped center stone with six old euro-cut diamonds adorning the sides. 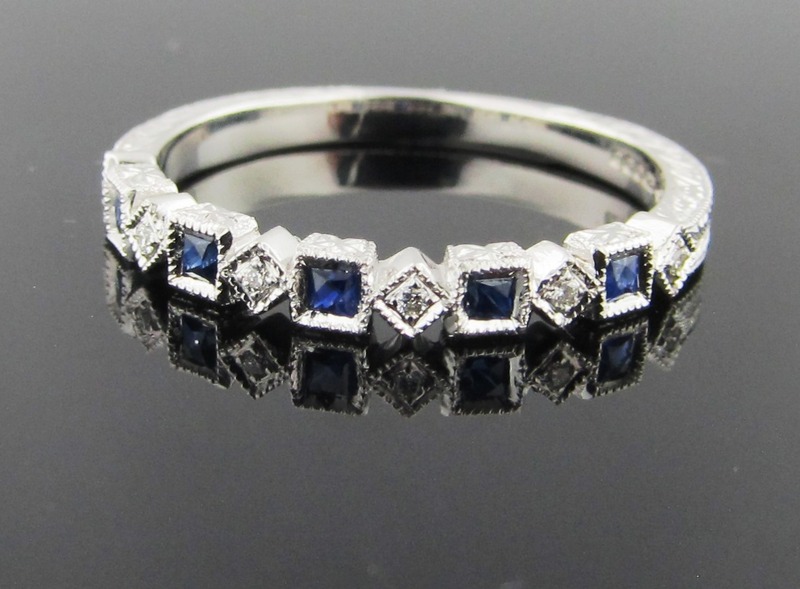 18kw Sapphire and Diamond stacking band. Also available in ruby and emerald. 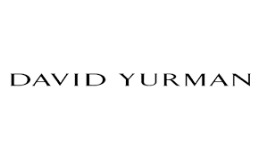 *as seen in our Best of the Season brochure. 14ky, 10-stone, .30ctw diamond band. Modern and classic. * sizing at no additional cost. This shimmering .75ctw pave diamond ring set in 18kw has five rows of colorless, VS clarity diamonds! 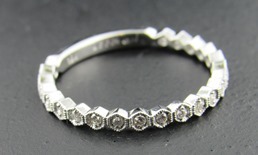 This is the perfect all occasion gift, as it can be worn as an anniversary band, right hand ring or wedding band. She will adore it. 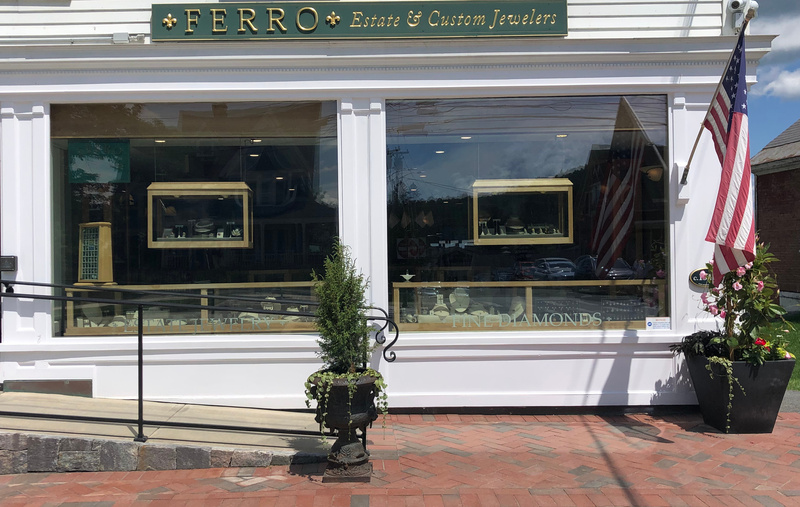 * sizing is no additional charge.